This cultivar has beautiful purple foliage. It also shows spikes of purplish-blue flowers in the spring. 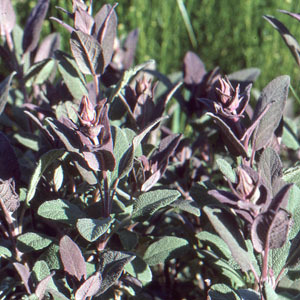 The leaves add a purple color to vinegars and have a nice sage flavor. Categories: All Items, all potted plants, culinary herbs, deer resistant, Potted Plants, More..